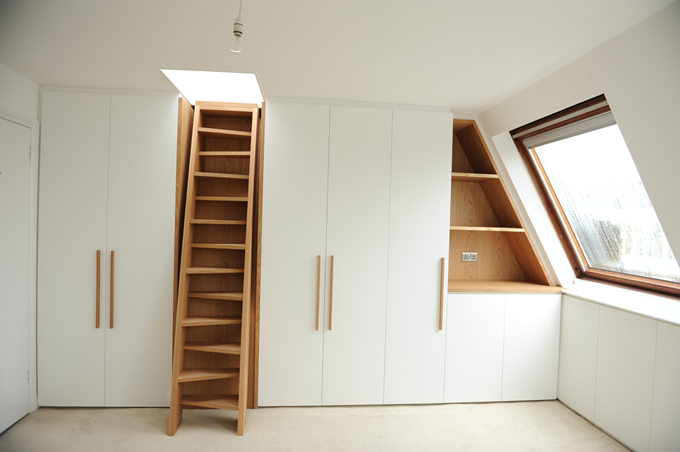 Getting extra space is a common reason for moving house but with a loft conversions you can get the extra space without the costs and upheaval of moving. 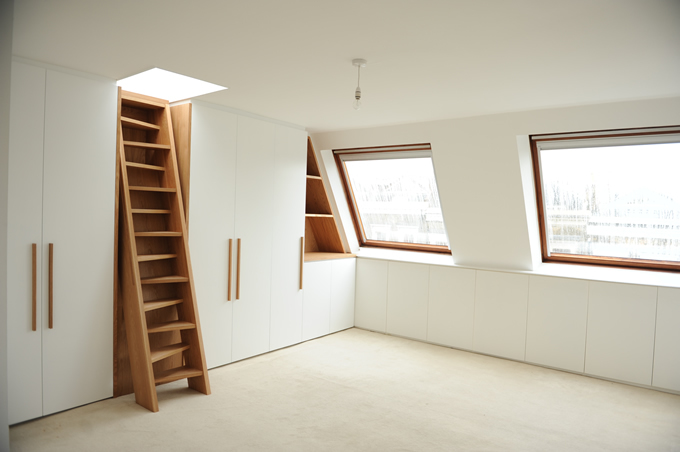 We are experienced in providing loft conversions which are customised for your specific requirements. 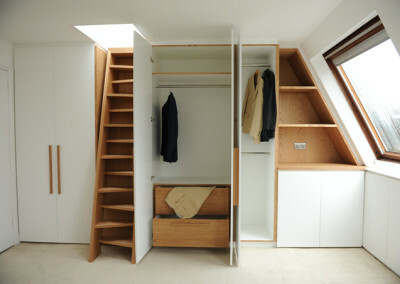 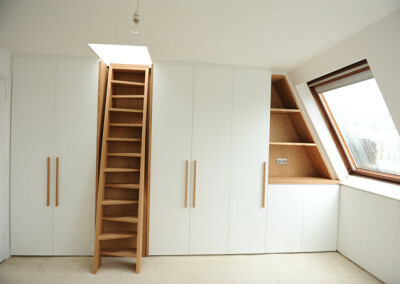 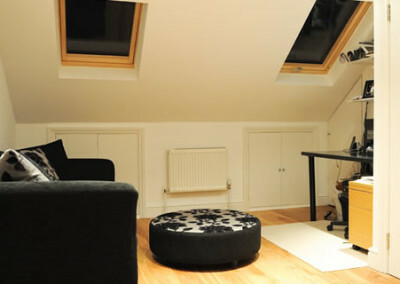 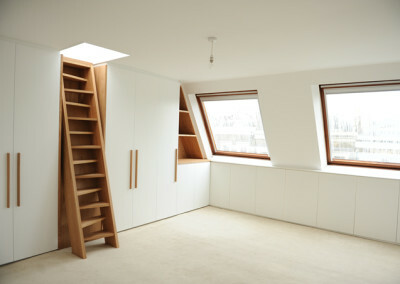 Extra space can provide you a bedroom with an en-suite or shower or a home office and studio like the one shown here. 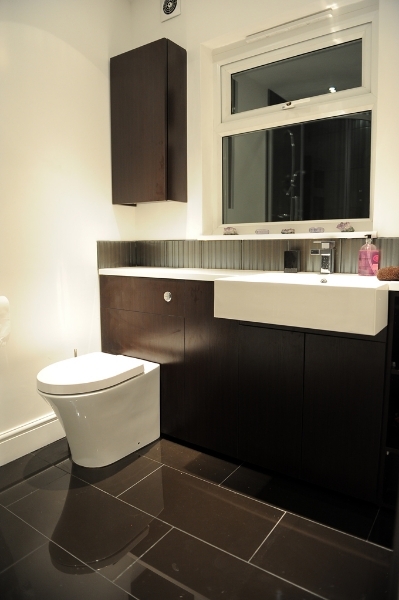 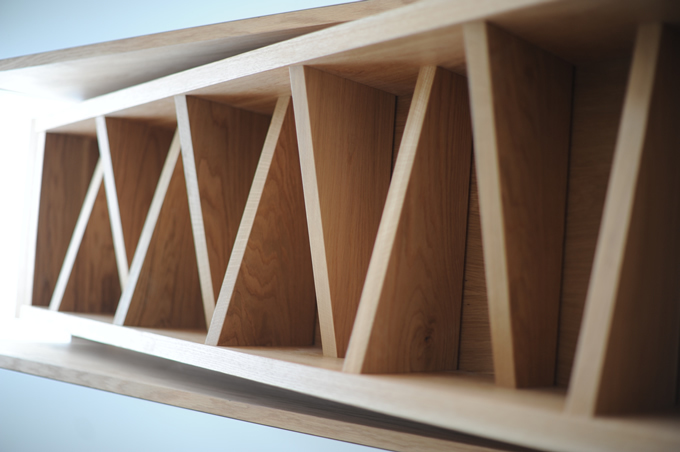 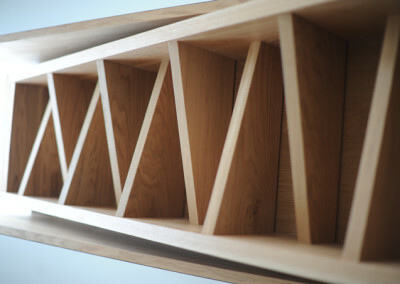 Give us a call 020 8883 6487 for a no obligations consultation.